Slicey slicey, reader. Slice up and smell the coffee. Time to leave some baddies in your slice. Whoa, sorry, I’m getting the word “slice” mixed up with the word “wake” again. This is what happens when you play too much Sekiro: Shadows Die Twice, the new demi-Souls from those virtuasadists at From Software. It’s about being a dextrous ninja with a big sword and a grappling hook for an arm. Matthew and Brendan have played a few hours. Here’s what they think of it so far. We don’t have our review yet. Because we only have one review copy, and everyone in the office is wrestling over the controller like a bunch of impatient toddlers. Also, it is very very hard. It will probably take Brendan half a century, because he’s a shield wimp and can’t deal with the frenetic, high-pressure combat of these ninja nobs. But the boys have also been playing some of The Division 2. They like the bullet-dodging and don’t really care to listen to the game’s vague political hand-waving. The shooty robots are what matter most. You can listen on Spotify or just hark above, or go straight to Soundcloud where you can download it for later. You can also get the RSS feed here or find it on iTunes, Stitcher or Pocket Casts. Music is by Jack de Quidt, and we’re proud to have it. Where do you go after you Baumgartner? 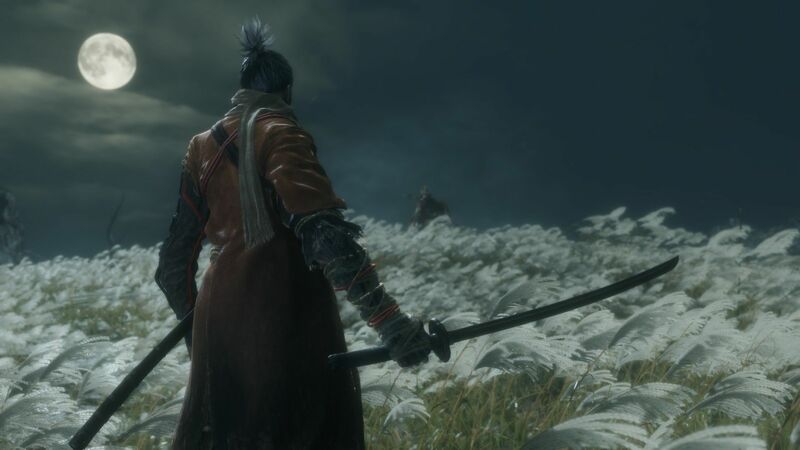 Tagged with feature, From Software, Podcast, The RPS Electronic Wireless show, Sekiro: Shadows Die Twice.